If like many of us, you're tried of endless battles and screentime stress and taming it sounds like an impossible nirvana, read on! At TimeTokens HQ we had the absolute pleasure of hanging out with the fabulous Tayla Stone of super blog the MotherhoodTheRealDeal, sharing our stories and tips, hope you find them as helpful as we have. What better time to jump in than the beginning of a New Year! Screen time – one of the many headaches of modern day parenting. 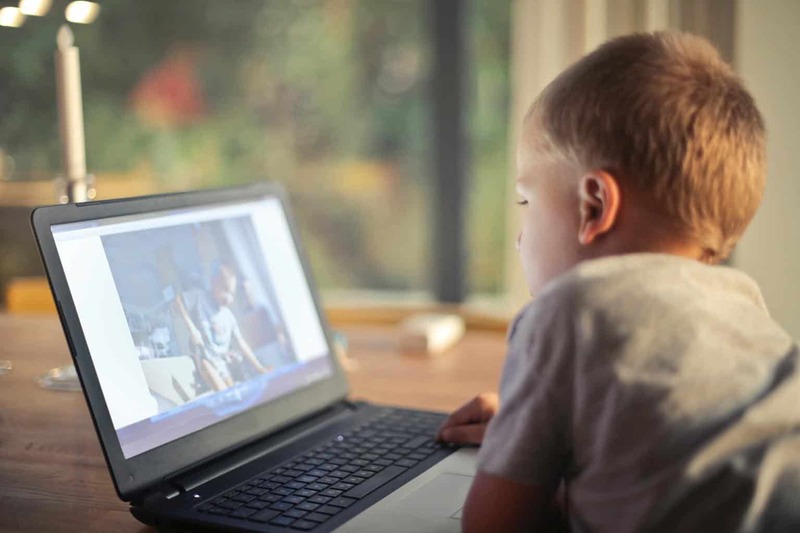 The kids can’t get enough of it – meanwhile we parents know that too much screen time is detrimental to their mental, physical and emotional well-being. So the question on everyone’s lips these days, that parents are desperately sweating bullets over is: how to limit screen time for children? Firstly, Why do you feel it’s important to limit screen time for children? I feel it’s important because there’s so much evidence around the negative impact too much screen time has on children’s emotional, physical and mental health, you really have to bury your head in the sand to ignore it. I’m sure a majority of parents see the evidence for themselves, it’s not difficult – Try removing an iPad from an 8 year old after 30 mins! Children need time to have fun away from screens, being active and developing the skills necessary to grow into resilient, confident, happy and well balanced adults – those skills don’t just come from looking at an iPad! It would be lovely if they did. Screens are no substitute for real life play and social interaction. Have you experienced your own battles when it comes to children and screen time? If so, please could you share? Yes, when my son Harry was 7 we had terrible battles over the iPad, removing him from it became a daily source of stress. Parents often find themselves in a no win situation when it comes to screen time. Saying “NO” and removing screens can often end in confrontation but keeping the peace and turning a blind eye means you are left feeling like you’re not being a responsible parent. It was the constant battles and the fact there was no product on the market to help solve the problem that inspired Harry and I to put our heads together and create TimeTokens. Why is it important not to totally forbid screen time in your view? Our children are digital natives, whether you like it or not they are going to be growing up in an environment surrounded by technology; friends, school, home, everywhere they turn. For me prohibition never works, as tech will be a major part of their future, much better to teach your child to use it sensibly, the pros and cons and most importantly instil the self- control to turn it off! Can you talk about ways to limit screen time that work, and how to execute them? Model good behaviour as parents – try not to scroll while watching tv etc. Don’t take the iPad out with you, put a small collection of fun things like stickers, paper, pens, small cars, Lego people (or for older children card games, Uno is big hit with our family), in a bag by the front door and take that with you for entertainment. What changes do you see in children when screen time is limited effectively? My son’s negative behaviour changed overnight. He was instantly happier, less argumentative, played with his toys more, communicated better and was just generally a much happier, calmer boy. Now he’s 11, I see the benefits even more, as, although he loves his screen time, he knows when he’s had enough and is able is able to walk away from it. His contemporaries just don’t seem to have the same ability, won’t do their homework, stay up late on tech. Their parents are having much bigger battles and the problems are far worse than if they had limited screen time at an early age. I think parents who have found a healthy balance would agree that their children seem happier, play more, are more active, more able to focus and sleep better. 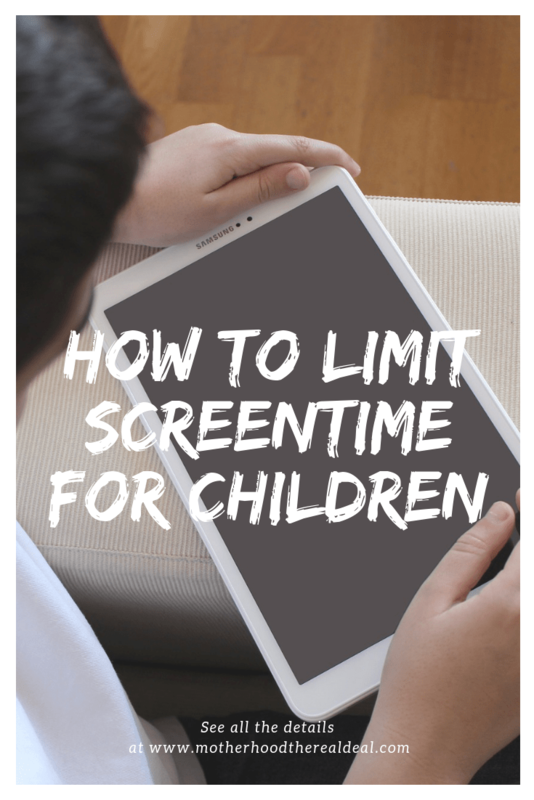 Do you think it’s best to be flexible, or have a plan when it comes to limiting screen time? I think a bit of both. It’s sensible to have a media plan/rules you stick to week in week out, children love structure and boundaries it makes them feel secure. But life does not always run to plan, so you need to be flexible too. Once you have locked down screen time at home, how can you stop them from sneaking screen time elsewhere? And how do parents fit into all this? Shouldn’t we be modelling limiting screen time too? Yes definitely, we should be aware of our own screen time habits as an influence on our children. For instance maybe we don’t need to check our emails whilst making dinner or read a text when we see the screen light up. But it’s a balance. Ultimately we are the adults, our brains are fully formed whereas a child’s is not fully developed until they hit their late teens. Also we are also the parents, Just because your child see’s you doing something it doesn’t give them the automatic right to copy you – for example they don’t expect to drive your car or drink alcohol! If you were to give a pep talk to my readers who were currently locked in screen time battles it would be…. I would say I feel your pain! It’s really hard to be parent, especially in such a tech/screen orientated world. But it’s never too late to take action. Take back control around your child’s screen time use, put some boundaries in place and take it day by day, very soon you will see a positive and rewarding change. We recently finished a government led pilot scheme with TimeTokens in selected Primary schools in West London. The children and families involved have been amazing and it’s been a real inspiration to see the transformation in their lives. The results have been stunning and completely out performed anyone’s expectations and I hope will help inform other local authorities how vital it is to give families and children the tools to learn a healthy screen time balance. Are you currently locked in screen time battles? What do you think of the advice above? Do share in a comment below.